Arrive at the award winning Singapore Changi Airport. You will be met and transferred to the hotel. In the evening, you can opt to visit Night Safari (Optional), set in 40 hectares of secondary jungle. Roam the jungle in the complete safety and comfort of a tram, which takes you through the East and West Loop. On completion of the tram ride, your tour guide will lead you on a walking trail where you will be able to view some animals at closer quarters. explore Singapore on the City Tour. 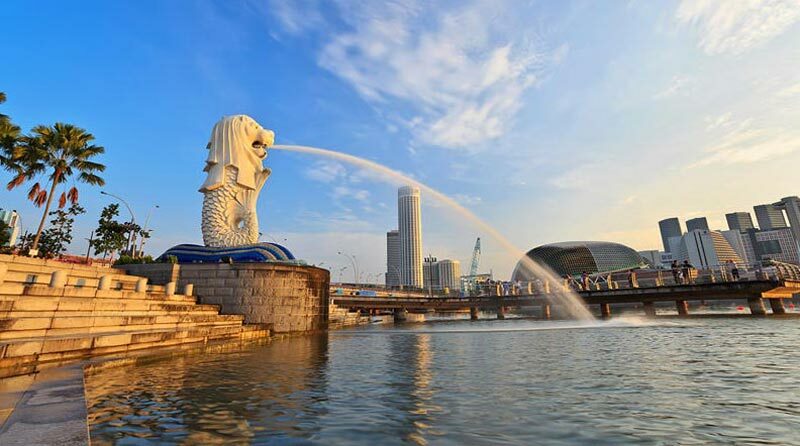 Drive round the Civic District, passing by the Singapore Cricket Club, historic Parliament House, Supreme Court and City Hall, followed by the Merlion Park where you can enjoy the impressive views of Marina Bay. Continue the visit to Thian Hock Keng Temple, one of Singapore’s oldest Buddhist-Taoist temples, before driving past Chinatown and finally to Little India. In the afternoon, you can visit Sentosa Island (Optional); enjoy 1 way cable car ride, and do not forget to witness the Wings of Time, Singapore’s multi-sensory extravaganza, to watch a world-class water show. Later, you will be transferred to the hotel. Morning is at leisure to shop or you can opt for Jurong Bird Park .Home to 8,000 birds of 600 species, Jurong Bird Park spans 20.2 hectares of lush greenery within Singapore’s model industry estate. Later in the day, you can visit one of the Top 10 award-winning gardens of the world - Gardens by the Bay (Optional). Step into the Flower Dome, a cooled conservatory. Enter another world as you step into Cloud Forest, a mysterious world veiled in mist. With one of the world’s tallest waterfalls, the Cloud Forest showcases plant life from the wet and cool highlands around the world. Enjoy the Cloud Walk as you stroll through the treetops and down into the caverns and valleys of a tropical montane. Watch the sky show of dazzling lights and sounds in the OCBC Garden Rhapsody, which takes place nightly amidst the Super-trees. Today, you can enjoy full day at Universal Studios (Optional).Southeast Asia's first Hollywood movie theme park, Universal Studios Singapore, features an enticing selection of attractions, rides and entertainment for families and thrill seekers. Here, you can step onto a movie set and experience the destructive force of a hurricane with special effects produced by Steven Spielberg.